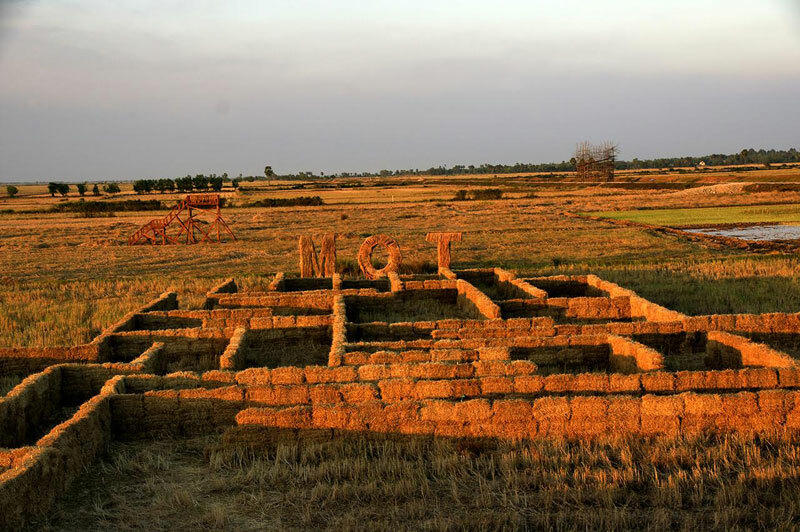 With woven whirlpool-shaped straw sculptures and intricately designed rice-field labyrinths, the flatlands of Banteay Meanchey province have taken on a bizarre, nearly science-fiction aesthetic during the three-day Bale and Paddy Art Festival, which started on Sunday. Set off of National Road 6 in Preah Netr Preah district, the event covers more land and features bigger artworks than the inaugural festival in February 2015, according to Seo Jeong-ah, public relations manager at the Korea Trade-Investment Promotion Agency (Kotra), which co-organized the festival. This year’s carnival boasts “paddy art,” formed from unprocessed rice, and “crop circles,” designs in the fields made from flattening or cutting stalks that come to life when viewed from the festival’s three raised observatories. Chea Chen, a 60-year-old farmer and one of the festival’s sculptors, said that while these structures were popular in Japan and Korea, the concept was quite peculiar to Cambodians. 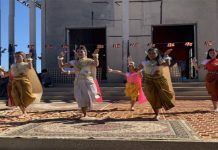 Other highlights of the festival include a structure resembling an Angkorian temple, a giant labyrinth formed from bales of straw, a “bale garden” filled with local vegetables and a wooden sculpture, “Making Jupiter,” created by South Korean artist Choi Ok-young. 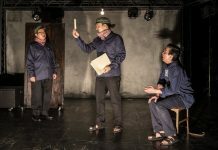 Ms. Seo said there would also be music, traditional Khmer performances, and Korean games such as neolttwigi—a type of seesaw in which participants get airborne. Entertaining the 20,000 to 30,000 expected guests, however, is just one goal of the event, which is co-organized by the Global Climate Refugee Fund, the Ministry of Tourism and the provincial government. The overarching mission is much more significant, Ms. Seo said. As part of a Kotra project titled “Rice, Life and Culture,” the carnival also fits into wider efforts to support sustainable farming, address local flooding, and launch an agricultural tourism sector in the country. 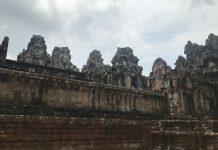 “Not many people know about the issues the province faces,” said Ms. Seo, explaining that Banteay Meanchey is one of the areas in Cambodia most vulnerable to climate change, suffering from frequent floods and droughts. 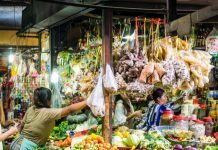 Aiming to place the province at the “center of agricultural tourism in Cambodia in the future,” organizers plan to build a self-reliant, flood-resistant village, as well as construct a theme park and a paddy art complex, Ms. Seo said. She explained that the idea was to provide a supplementary, alternative income to local residents, starting with training the 40 farmer-sculptors who helped construct the festivals’ many artworks. Throughout the process, coordinators also hope to teach local farmers more efficient and sustainable methods of farming. Mr. Chen, the farmer-sculptor, said he has relished the entire experience—from making extra income to befriending Koreans, creating original art and learning new farming methods.